These magnificent vases have been designed to hold and slowly diffuse pot-pourri, and inspire the feeling of French grandeur and luxury of the 18th Century. 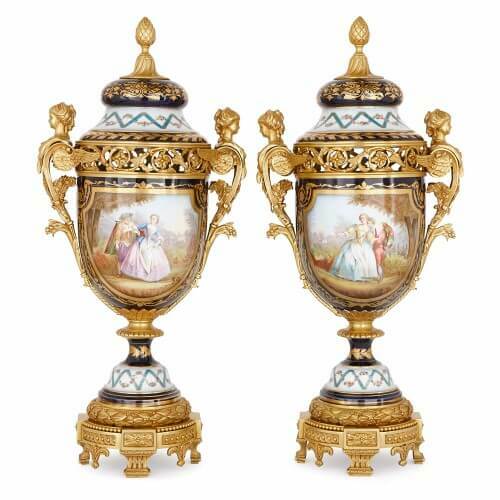 These splendid vases are exceptional 19th Century works in the 18th Century French Rococo style. 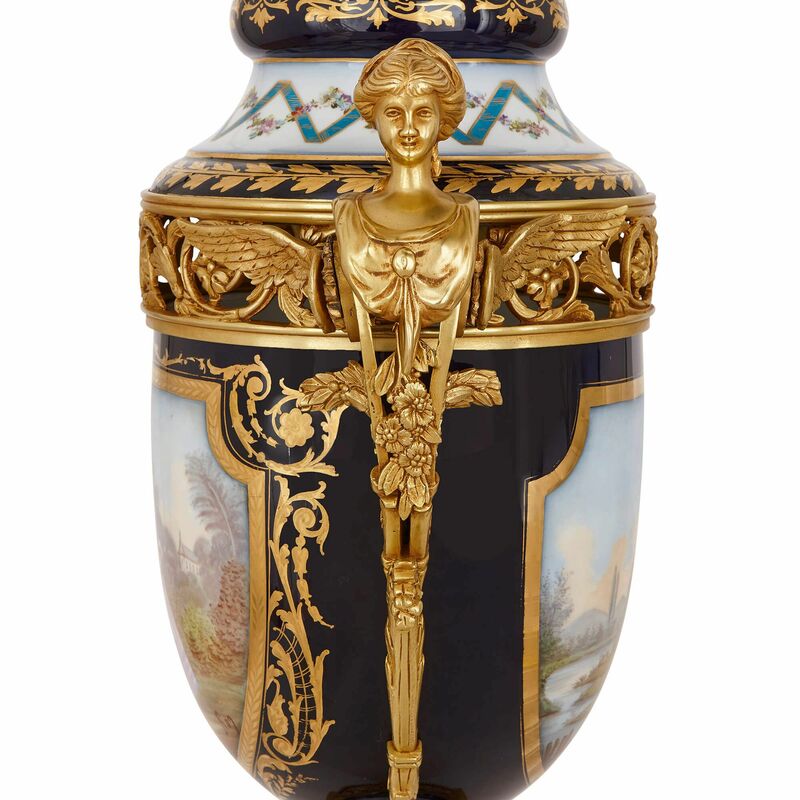 The porcelain manufactory at Sevres was renowned throughout the 18th Century for their exceptional works of porcelain decoration, and these vases are a wonderful homage to the creative output of the factory at the time. 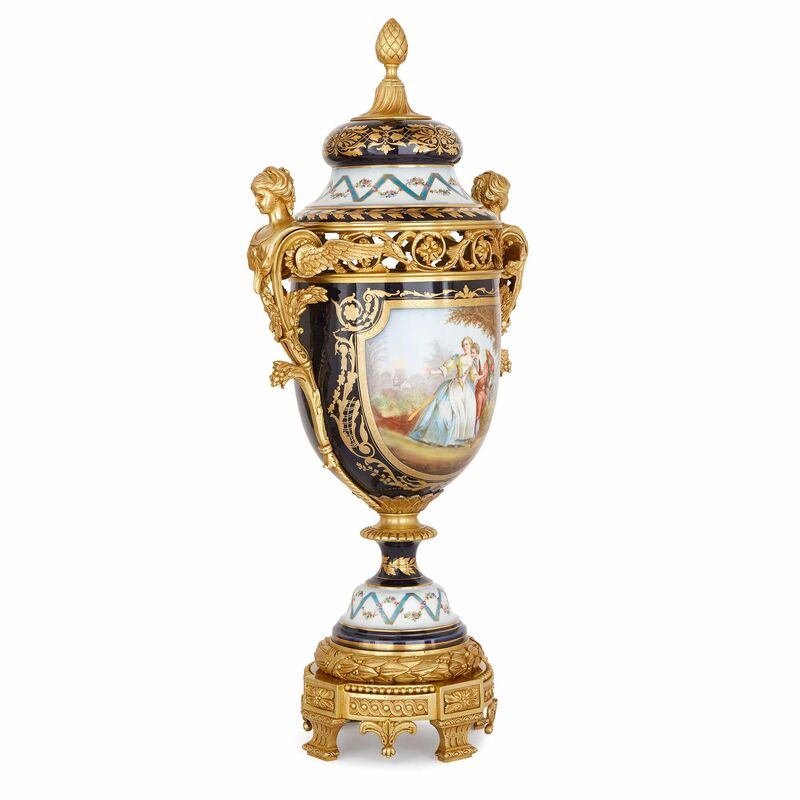 The vases have been designed as decorative containers for pot-pourri, as is clear from the pierced ormolu mounts around the rims of the vases, which allow for the slow diffusion of scent. 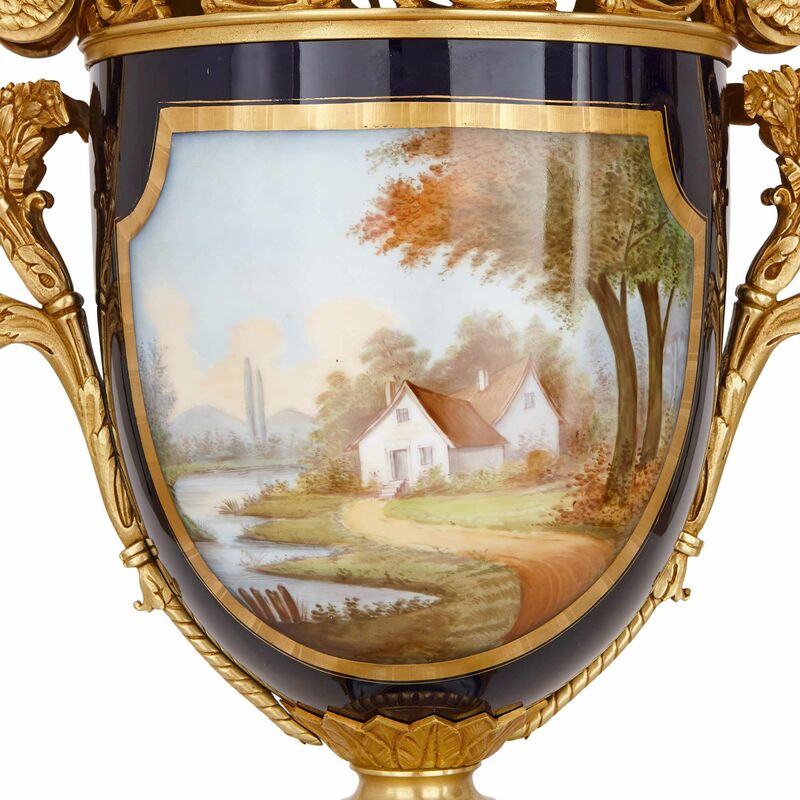 The vases are set on square ormolu bases and feature cartouches of amorous couples in outdoor scenes to the front side, and landscape scenes to the reverse. 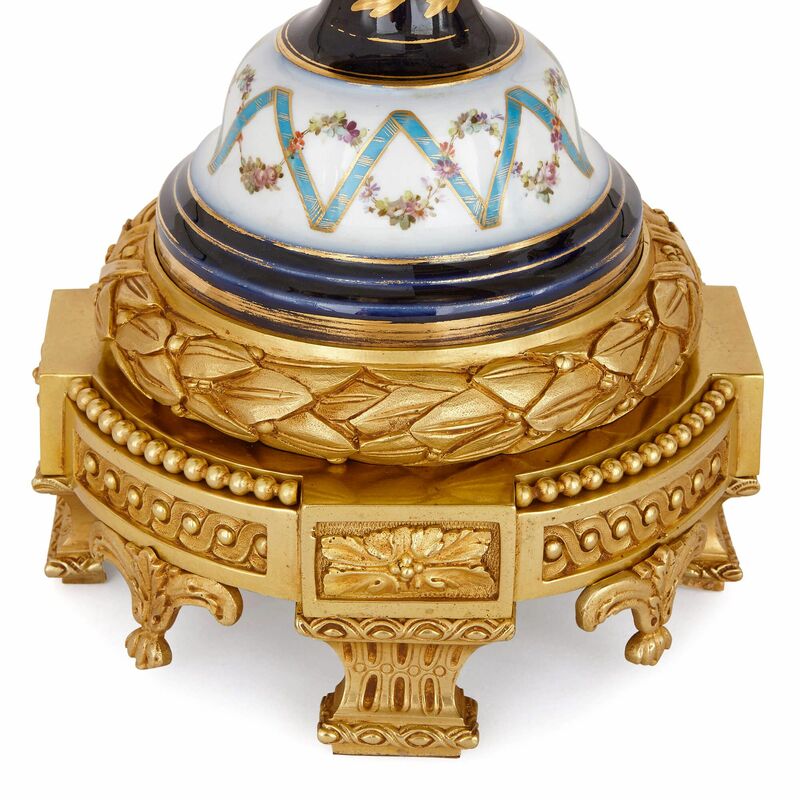 The cartouches are set on the classic Sevres blue ground, which is decorated with gilt scrolls and foliate motifs. 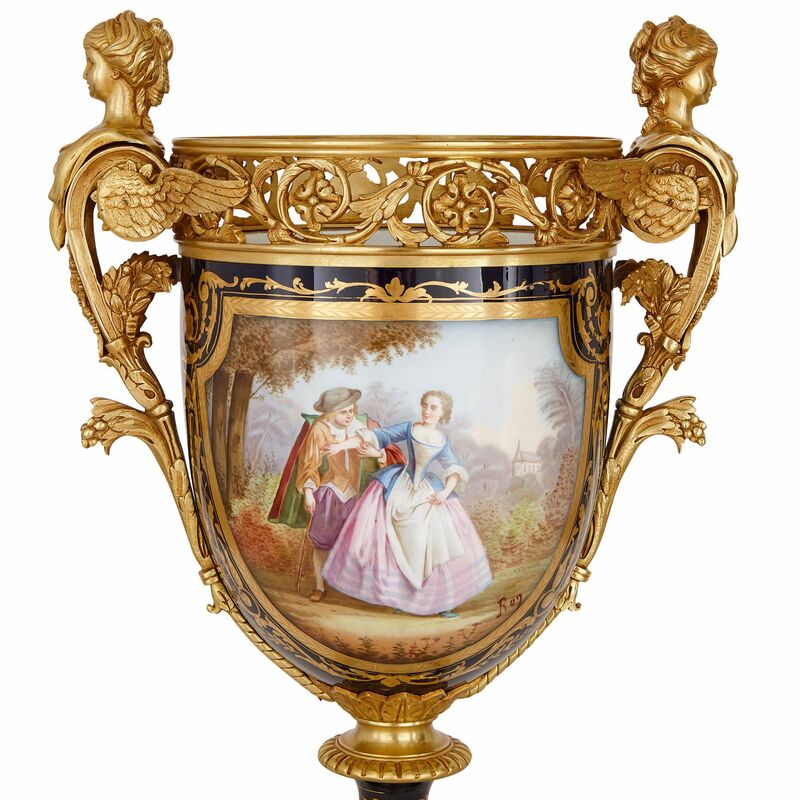 Each vase is also mounted with twin scrolling handles which are surmounted by female busts. 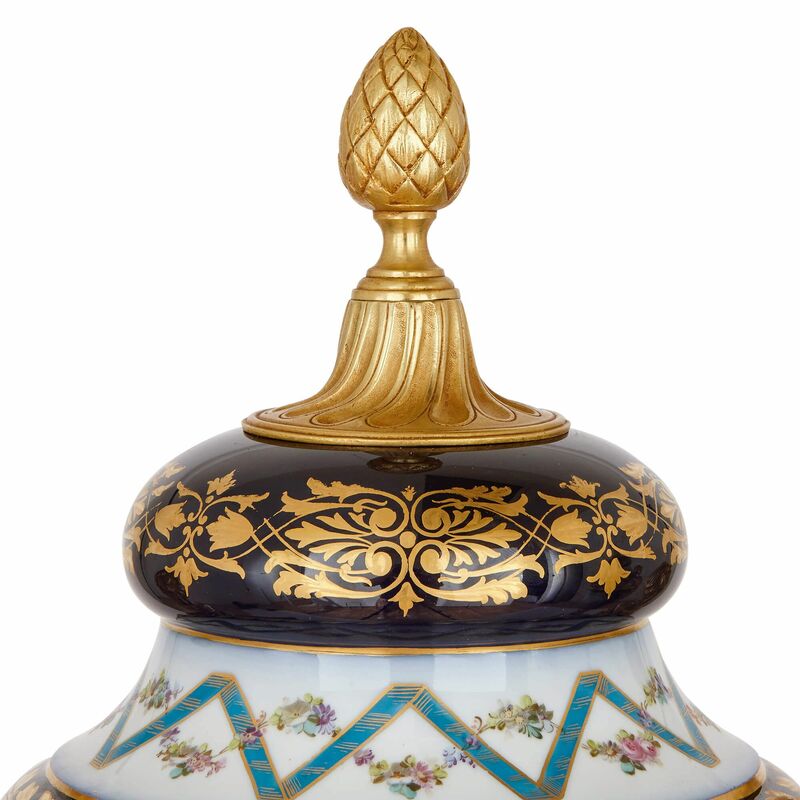 The vases are topped with removable covers decorated with bands of floral patterning on a white ground, surmounted by ormolu pinecone finial mounts. 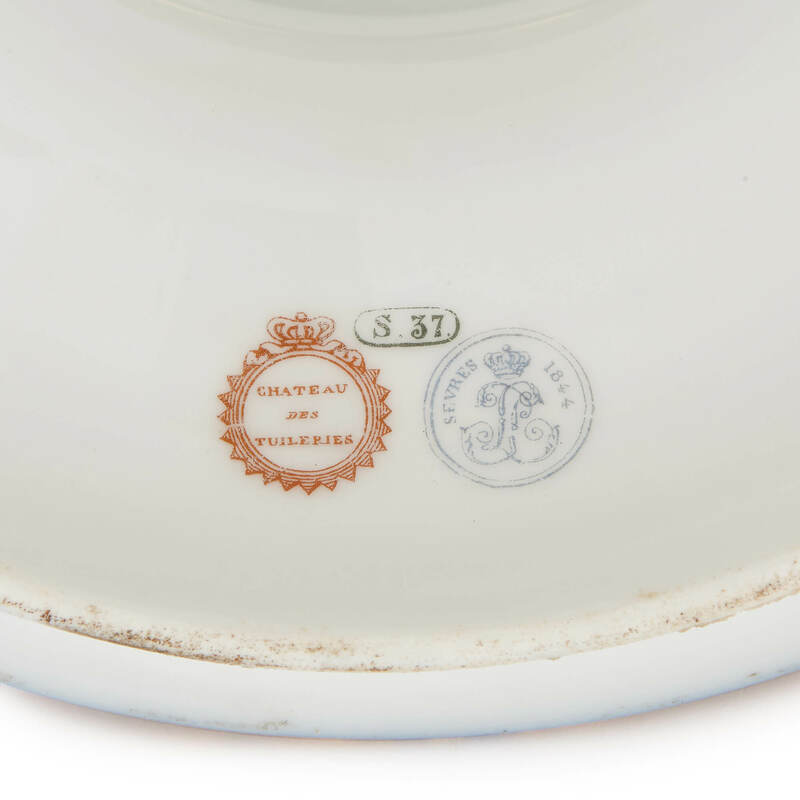 The underside of each lid is marked with stamps reading 'Chateau des Tuileries', 'S. 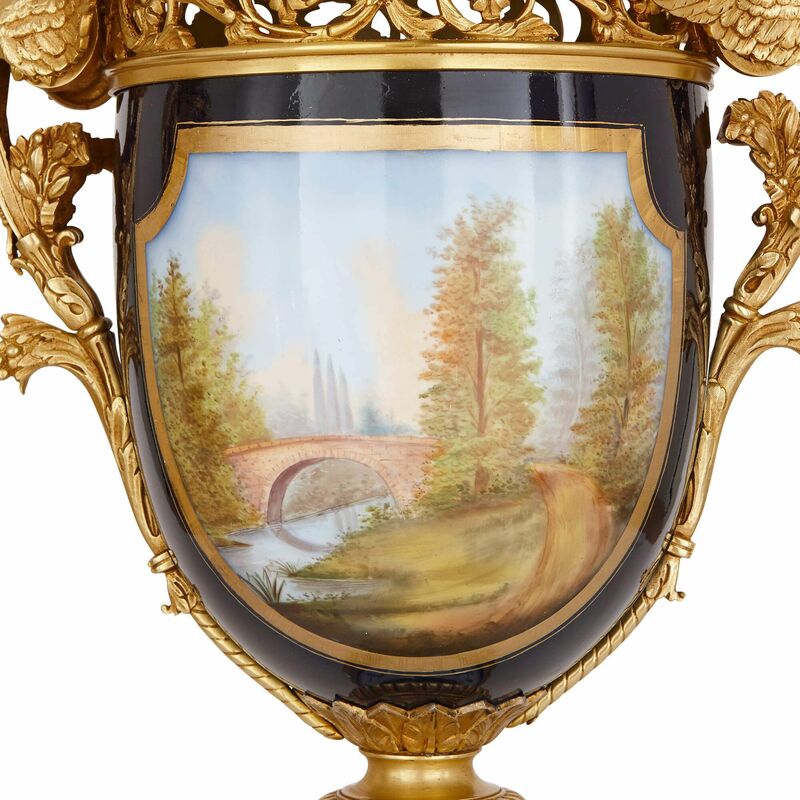 37' and 'Sevres 1844'.